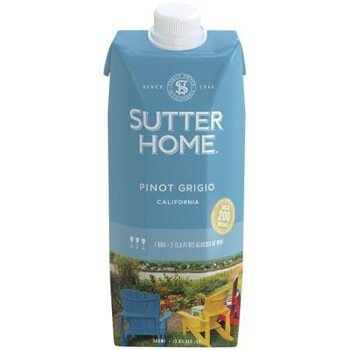 Sutter Home Pinot Grigio is a laid-back wine with fresh floral aromas. It features sweet flavors of white peach, melon, citrus and tropical fruits that leave a refreshing finish. This crisp Pinot Grigio pairs well with seafood, cheese and spicy Latin and Asian food.